Around 2,000 blue collar workers of the Philadelphia School District created a noisy, traffic blocking protest in Center City during mid-day today. The drivers and maintenance workers were rallying against impending school budget cuts and layoffs. 14 arrests were made when union members blocked traffic at Broad and Race, included SEIU Local 32BJ Union Pres. George Ricchezza. More than 2,000 members of Local 32BJ have received layoff notices from the school district. Today, May 23rd, would be the 78th birthday for Robert "Bob" Moog, the inventor of the analog synthesizer in the 1950's. Moog synths took off in the late 60's after the Monterrey Pop Festival and 1970's when they became used more and more in rock and pop on record and live in concert. 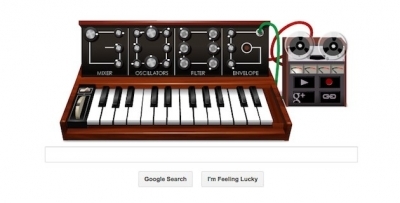 Moog became the de facto synthesizer for the entire music industry. Joe Paterno earned a state pension of $13.4 million for his 61-year coaching career at Penn State. Paterno's widow, Sue, will receive an initial payment of $10.1 million by the end of May, with the rest to be paid out over the next two years. Calculations were made through the standard formula for anyone in the State Employees' Retirement System, and Paterno received no special consideration, according to his family. Paterno never accessed his pension. 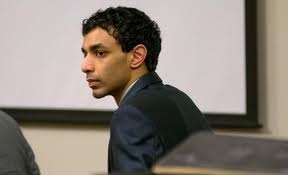 Dharun Ravi, 20, the former Rutgers University student convicted of bias intimidation and other charges for using a webcam to spy on his roommate, was sentenced today to 30 days in jail followed by 3 years probation. Ravi witnessed his roommate and another man kissing on the webcam just days before his roommate then committed suicide. 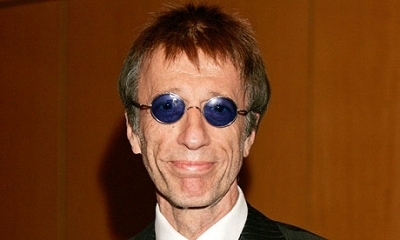 Robin Gibb, member of the Bee Gees, has passed away from his long battle with cancer according to a statement on his official website.